I like this shot of Ramona Falls taken on a recent hike. 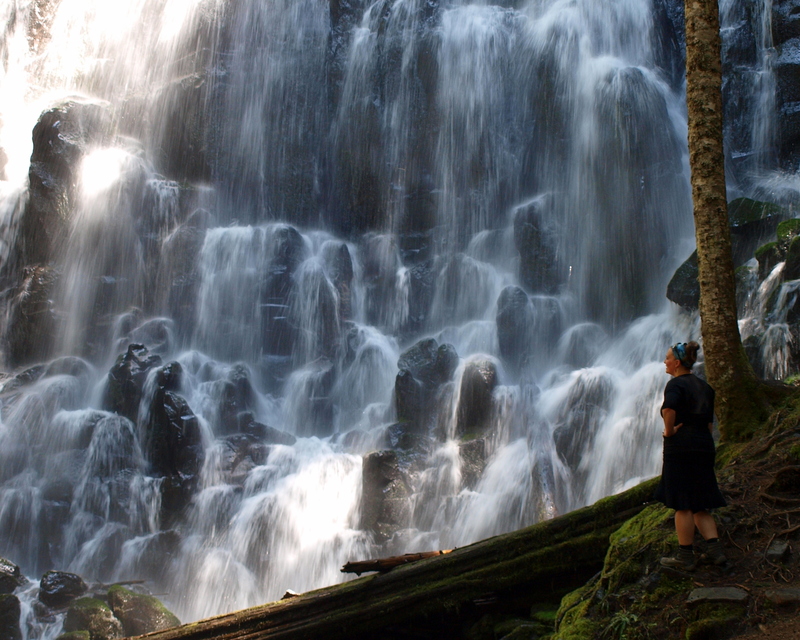 It features sun breaks and highlights on the cascade as well as my girlfriend, Stephanie, introducing herself to the lower segment of the falls. Click on pic for larger view. For more information on the hike, read my column about it here.